Checking the weather every day prior to Lindsey & Trevors wedding, I started to get nervous it was going to rain. Months ago when she had told me the date of their wedding, she said she checked the Farmers Almanac and it said no rain. As the days got closer to April 9, weather.com said 64 degrees and sunny!! We couldn't have been happier! Adam & I arrived in San Miguel in the morning to start the day with pictures of Lindsey and her bridesmaids getting their hair and makeup done. Once we arrived in San Ardo for the wedding, our day sped up. From detail pictures at the reception, to Lindsey putting her dress on, to the ceremony, and then off to the formal pictures, then the finale of the reception in the beautifully hand decorated barn. This special location the Gomes' were married at, is the land of Lindsey's dear friends the Orradre's in San Ardo. I'd seen the progress of all their decoration gathering and DIY projects along the way, but when I arrived at the barn where the reception would be held, I was blown away. The barn was transformed into a magical, vintage and woodsy reception stocked with hand cut tree branches, old frames, and burlap drapes to keep the cold out. I had a blast shooting this wedding, and from the bottom of my heart, I love the Gomes' :) I know you two will have the most amazing life together, and I can't wait watch it unfold! Check out their wedding video preview! 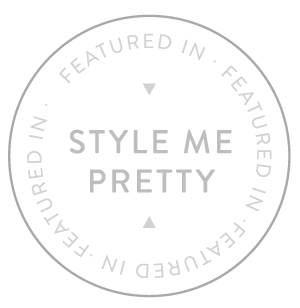 Check out their wedding which is featured on Style Me Pretty!